Aren't the snowmen cute? I hand stamped the snowflakes on the lavender blueish paper with Tsukineko Brilliance Dew Drop in lavender and cut the fronts of the cards off to create the belly band around the box. 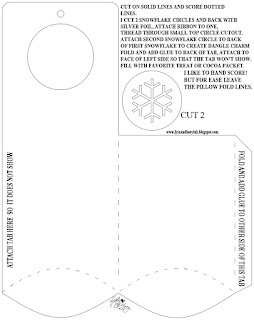 I used my DSA2 and my Stampin 'Up tag punches to make the tags. They were a big hit. These were personalized tags for work. I also had a basket of them at the house by the door for anyone that stopped by. 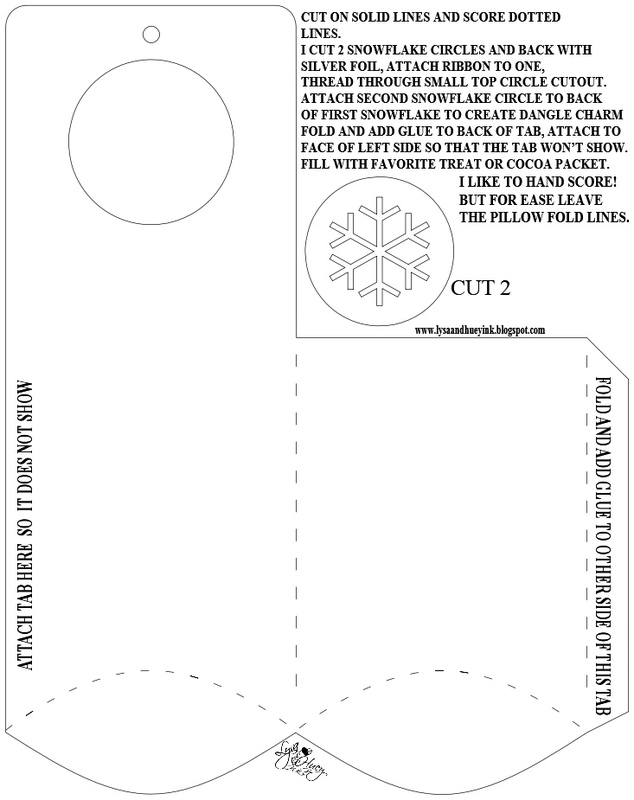 Just a note about the snowflake, I used my Martha Stewart punch on mine, but I added a basic snowflake to the file for ease. I hope you find use for this cute holder, Just think of what you can stuff into it. You can change it up and do away with the snowflake. Make the circle cutout bigger and hang it on a door knob. I am thinking this may just make a great holder for this years Reindeer food! Let me know if you have any questions. Hope you all are thinking about Christmas as it is just around the corner! Have a great weekend. Lysa, thank you very much for sharing your file. It's greatly appreciated. Your project turned out so nice! Love it! So many uses running through my brain. Thx for sharing with us. Enjoy, Enjoy! Let me know if you use the file, I would love to see a pic if you do. Next up is my totally tiny bakery box. Stay tuned I think you will like it. How can I get the printout for the totally tiny bakery box? Hi Unknown, Sorry just seeing your question now at the end of December. All you need to do is click on the mediafire link in the body of the blog post. I am fighting pancreatic cancer and am unable to check in as much as before. But at least you'll be able to grab the file for future use. Blessings for a Happy Healthy New Year!